This blog describes a walk along the British Watershed from John o'Groats to Land's End which Malcolm Wylie completed between 1996 and 2009. 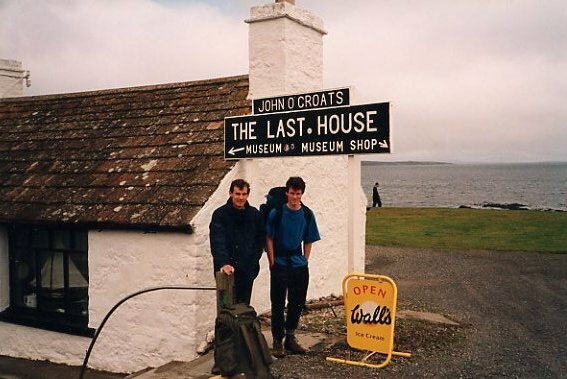 The journey from John o'Groats to Land's End took place in 14 sections, starting in 1996 (a week or so each year). 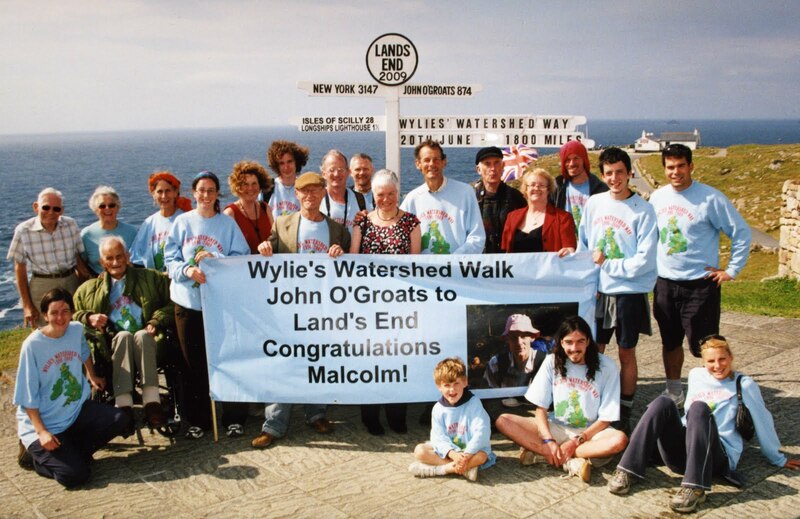 The idea came to me in 1995 and I completed the British JoGLE Watershed in June 2009. I was joined by a number of relations and friends from time to time. Most notable among my walking companions were my son Tim (7 sections) and nephews Peter and Jonny. After walking the first section in 1996 I discovered that Dave Hewitt had already pioneered the Scottish Watershed (to Cape Wrath) in 1987, and had published his excellent account Walking the Watershed in 1994. We have been in touch since then, and he has been a great encouragement. A simple definition of the watershed is that any rain falling to the left of the path finishes in the North Sea or English Channel, and anything to the right flows into the Atlantic Ocean, the Irish Sea or the Bristol Channel. I believe that this was the first walk along the full length of the British JoGLE Watershed. I became aware just after I completed the journey that the late Mike Allen walked a slightly different version (from Land's End to Cape Wrath) between 1988 and 1994, so he will have covered the same ground apart from the most north-easterly 220km. There have subsequently been several walks and publications about parts of the JoGLE watershed, including Peter Wright's 2010 Ribbon of Wildness account of his Scottish section walked in 2005, which has brought the subject of watershed walking in the UK to a wider audience. I hope you enjoy this blog. I'm planning to publish a full account in 2013/4. A summary of the walk appeared in The Angry Corrie volume 76 in 2009. After taking the train from Cambridge up to Thurso, a night in a B&B, and a bus ride, Tim and I were at last about to start the John o'Groats to Land's End Watershed. This first Section I saw as a "feasibility study", not yet having heard of anyone else who had tried something similar. (I found out more after completing this Section). Tim and I had done a number of backpacking trips already, so we were a reasonably experienced walking pair. My name is Malcolm Wylie. I live in Cambridge, and was (I believe) the first person to walk the British Watershed between John o'Groats and Land's End. Copyright Malcolm Wylie. Simple theme. Powered by Blogger.